ON was developed as a product family. As a result, coherent furnishing solutions with swivel work chairs and pull-up chairs for meetings perfectly complement one another. Seat shell and back frame allude to the swivel chairs and offer optimal comfort. The design of the frame is also typical of ON’s clarity of form. A standard feature of all Fiberflex and fabric covered types is that they are stackable. The management grade upholstery is also an option for more discerning customers. 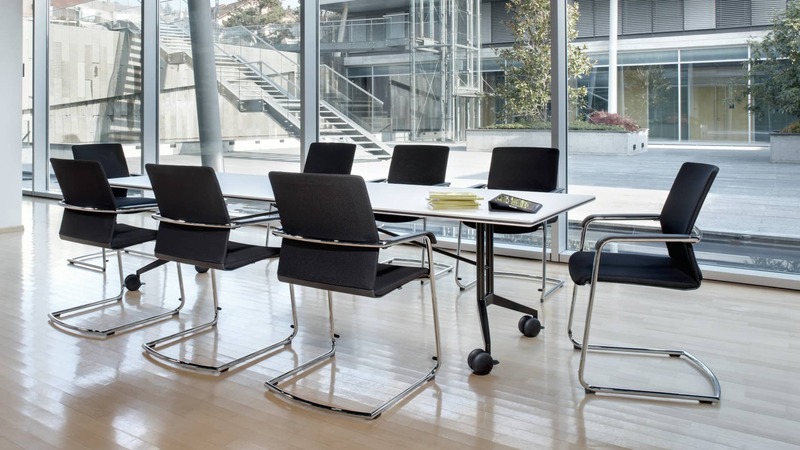 The four-legged visitor and elegant cantilever chairs are superb solutions for shorter meetings and conferences. They round off the range with the covered backrest frame that‘s so typical of ON. For seamless furnishing solutions. 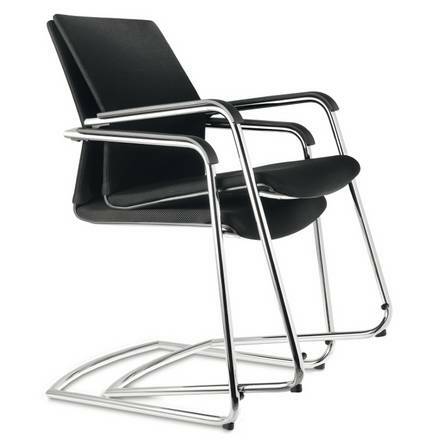 The fixed-leg chair has the same seat-back construction as the cantilever. The similar outer pull is also a characteristic of the ON product family. Fiberflex or fabric upholstered, stackable types and management grade upholstery are also available. How to get an ON cantilever or visitor chair?